In today’s real estate industry, technology is rewriting the rules for everything. Based on this truth, Keller Williams is ready to reinvent job descriptions and reimagine the real estate business. In doing this, Keller Williams Realty will transform real estate careers, real estate businesses, and the real estate industry, and provide a better end-to-end real estate consumer experience. Data is the new raw material, and the game is turning that data into meaningful insights. The entity with the most data, wins. Keller Williams is moving toward a digitally based, physically enhanced experience, so that real estate agents are able to access data like never before, gain more insights, and, ultimately, win the battle. As the real estate industry has moved from print to digital, real estate data ownership has switched hands. Now real estate companies can collect your data and monetize it – so one must choose to be either a tech-enabled real estate agent or a real estate agent enabling tech. In 1983, Keller Williams Realty was founded. Soon after, the real estate company was disrupted, had to pivot and reinvented itself as the real estate company you know today. The franchise went on to disrupt the real estate business through profit share and forever changed the real estate industry. Largely unwritten, the future places unprecedented power into an real estate agent’s hands and provides Keller Williams Realty an opportunity to disrupt – again – for our people. With more than 170,000 real estate associates as technology partners, Keller Williams is redefining the real estate experience and embarking on a data-sharing journey. One that respects your privacy at the individual level, yet creates the collective insights that keeps the real estate agent at the center of the real estate transaction – plus positions them as the real estate consumer’s guide through the home ownership journey. 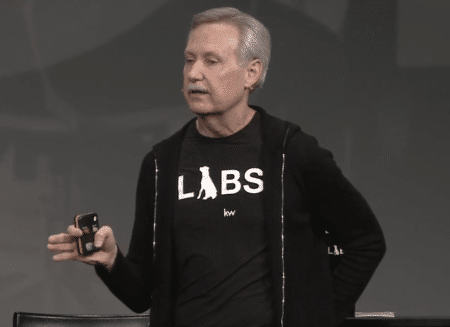 Gary Keller’s Vision Speech was on the state of technology in the real estate industry and how Keller Williams – a technology company – is rapidly innovating to build the digital real estate platform that real estate agents and consumers prefer. It’s time to discuss all the businesses that touch a real estate agent’s business. Property management is the holy grail of data. There is a need to partner with these businesses to get data and keep any company with the desire to dis-intermediate the real estate agent at bay. Keller Mortgage was created to protect the real estate agent’s commission and value proposition. Innovate. Automate. Dominate. Keller Williams Realty is creating a host of real estate technology tools, from a consumer-facing app to AI for real estateagents, all through proprietary software of their own making through Labs. The future looks exciting!